I want to share with you the sale that NY&CO has going on this weekend! Although I have my own online store, I also love sharing with you my favorite places to shop! I selected a few items that I feel are must-haves to refresh your spring/summer wardrobe. The first is a trench coat. 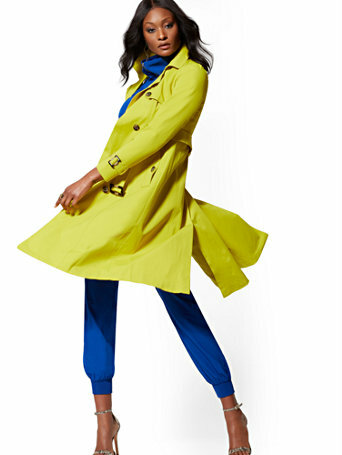 A wardrobe without a trench coat just doesn’t make sense to me. 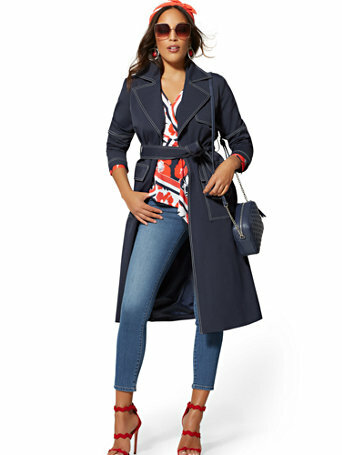 NY&CO has several styles that fit all lifestyles. If you don’t want to do color, go for a classic khaki. 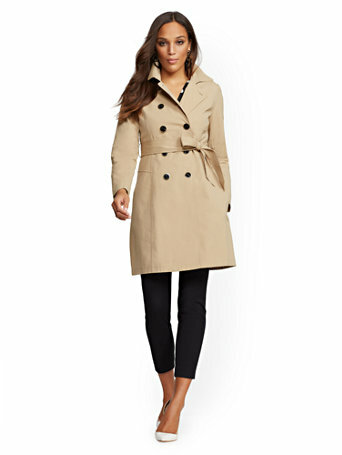 It looks great with everything and I love wearing my khaki trench with all white. 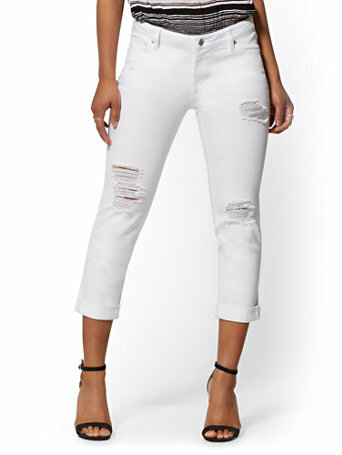 Speaking of all white, you need a pair of white jeans or shorts this summer. I mean, what’s summer without white🤷🏽‍♀️. This is the best time to shop for white before it’s all gone. The Soho jeans collection is amazing! The stretch in these jeans is my best friend. I also love the fact that they offer sizes from 0-20. Keep in mind, white jeans or shorts can be super stylish when creating the perfect all-white look. We all know that summertime means wedding time! What better way to be the best-dressed guest then wearing a floral dress? 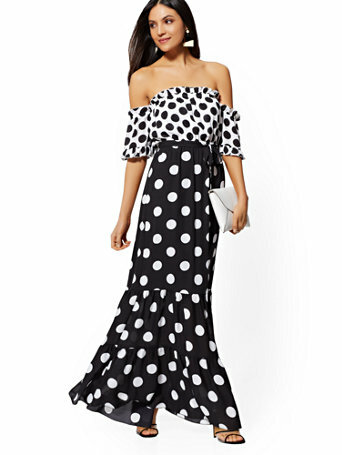 You could also step up your summer style with a maxi dress for cocktail parties or Sunday brunches. 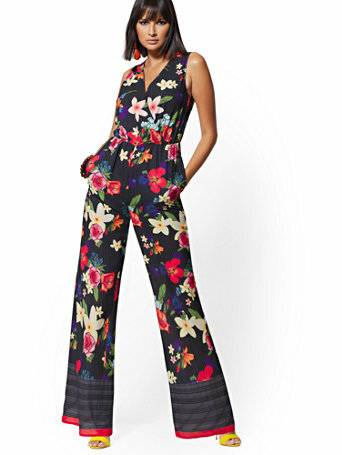 Finally, on my spring/summer wardrobe must-haves are jumpsuits or rompers! 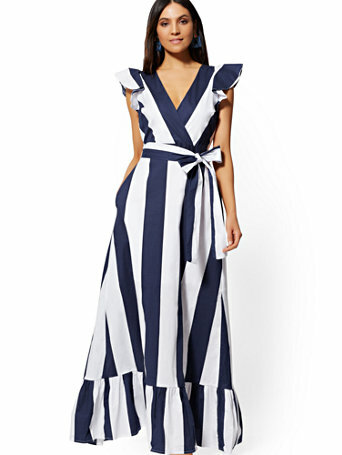 NY&CO has them covered from denim, ruffles, and stripes. This stylish one-piece wonder can take you all summer long-from the picnics, music festivals, weddings, and vacations! Check out my picks below and use the promo code to save today. Have a fashionable weekend! Next Post Look Of The Day!